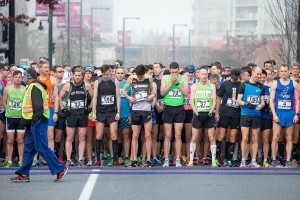 For some marathon runners, the 10K can feel like an off distance. As runners prep for their spring marathon, throwing a 10K in might feel difficult but it’s a good way to break up your marathon build. For most, the distance is too long to feel fast and too short to feel comfortable, but here’s why sitting at an in between pace can do you some good.